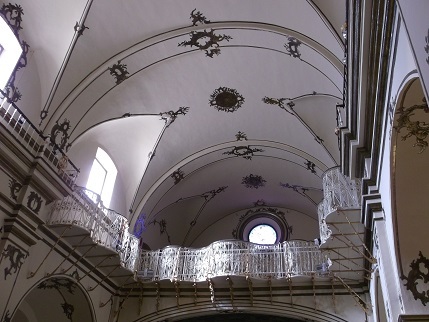 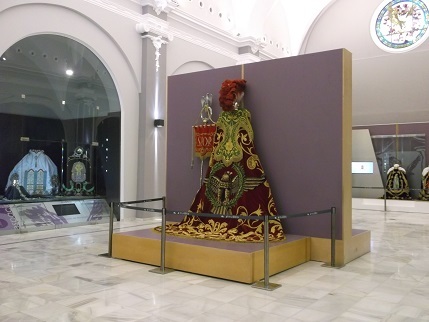 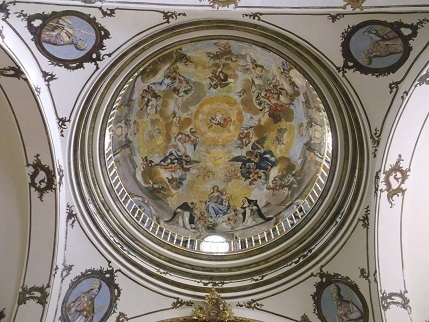 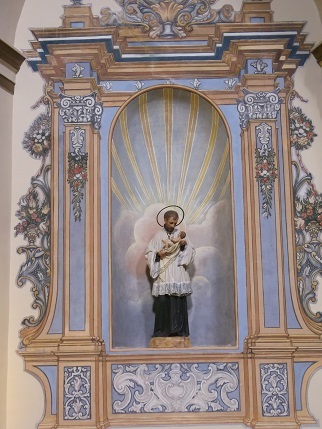 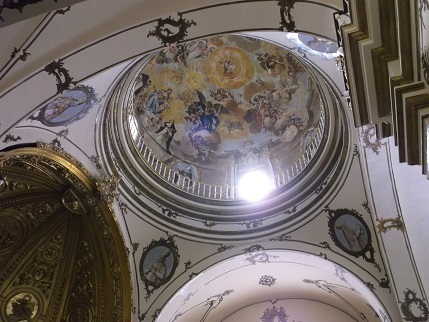 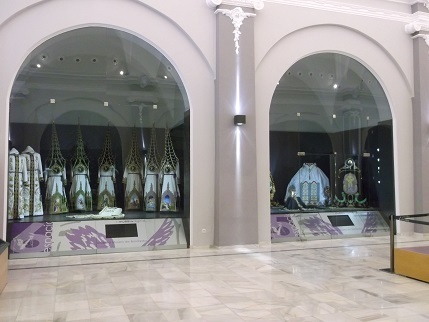 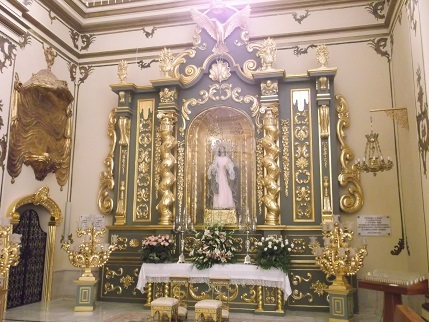 The Paso Blanco Museum was in an old chapel which had recently been refurbished. 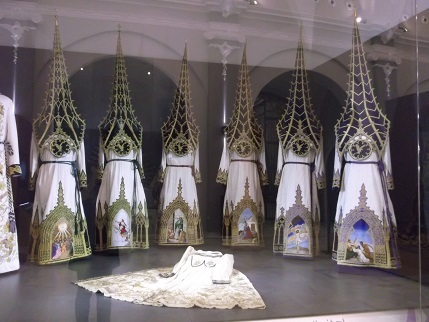 So not only was it the most wonderful collection of robes, cloaks and head dresses but the setting was amazing as well. 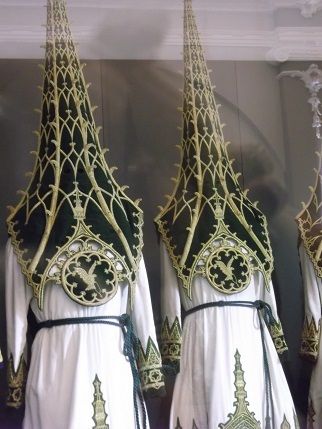 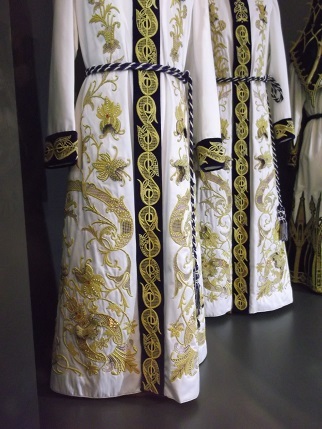 These were the first robes we looked at, the head dresses have eyeholes in them and the 3D work on the robes was stunning. 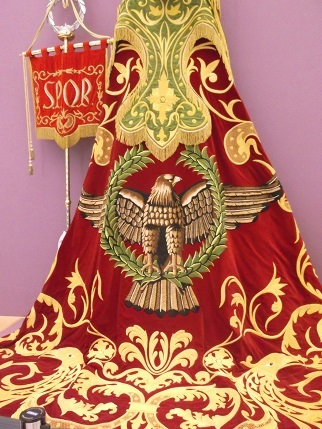 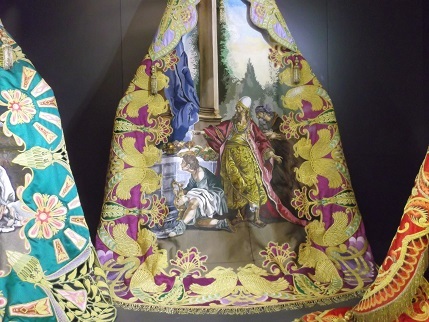 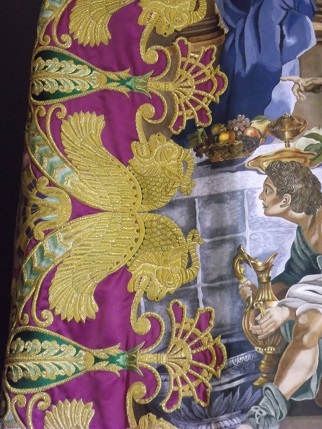 This is a close up of the wonderful Roman general’s cloak in the centre of the museum. 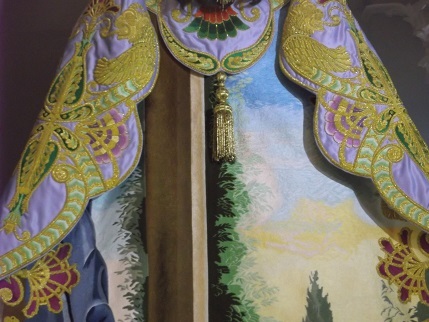 Many of the cloaks were pictorial as in the other museums and these had stunning scenes from the bible, the ones below were two of my favourite. 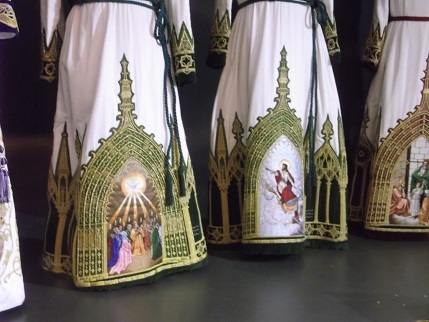 The detail of the people on this one must have taken hours of stitching. 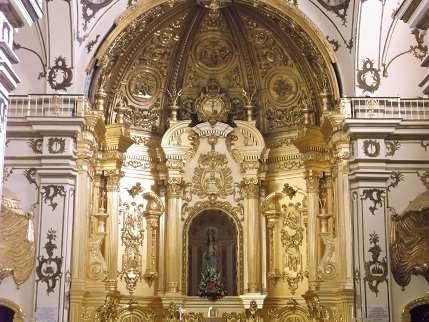 And then there was the chapel to visit, just a little bit of gold in there! 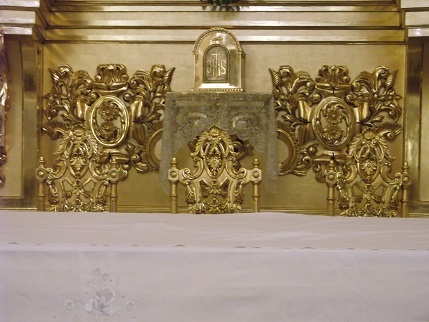 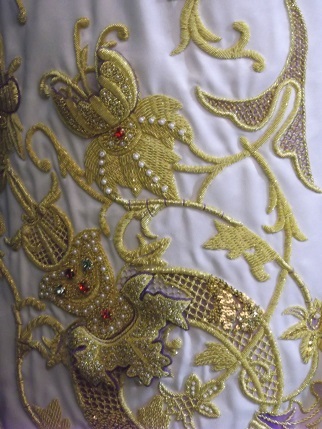 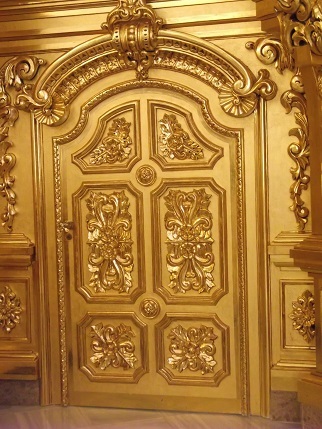 If you feel like seeing any more goldwork I have done another slideshow for you. 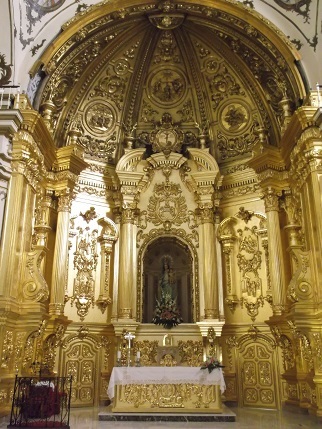 So much inspiration will keep me going for a long time! 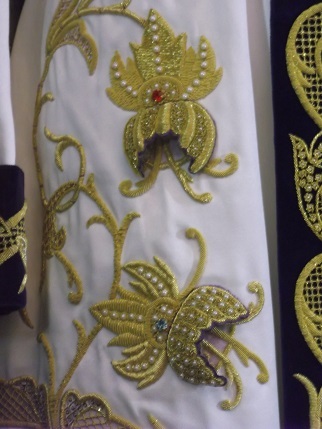 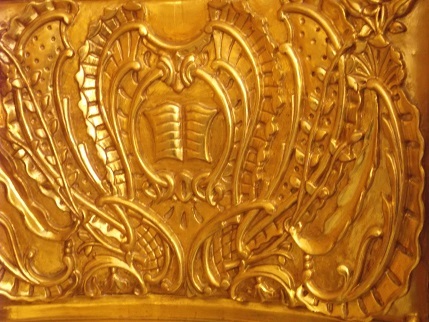 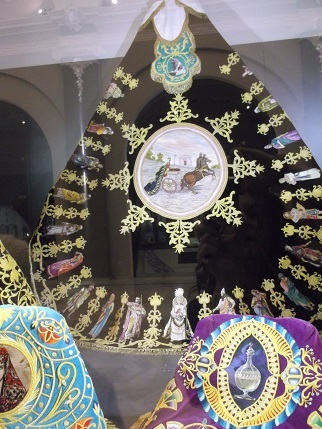 Hope that you have all enjoyed the goldwork and have a good week ahead, thanks for visiting. 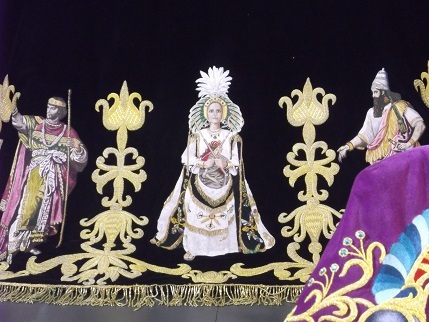 How absolutely breathtaking – and those head-dresses are astonishing!